Somewhere along the way, the film industry forgot how to inspire hope, or decided it was no longer necessary. It used to be that, as the world grew gloomier, the movies grew happier. This was a natural counterbalance to the uncertainty and unquietness of real life. Today, as the world approaches pre-WW2 levels of tension and confusion, the big screen is not being a source of comfort—gritty is still the new cool, and some like to speculate that cinema is altogether dead, with Netflix offering the hip alternative. This present context is what makes Damien Chazelle’s La La Land all the more significant, meaningful and timeless. The film will not be released until December of this year, but it already has the feel of an established classic. The mood is set with a virtuoso opening dance sequence that takes place on a Los Angeles highway. You watch as dozens of people are kept waiting in a traffic jam, when suddenly magic happens, and irresistible joy is breathed into the most ordinary of proceedings. 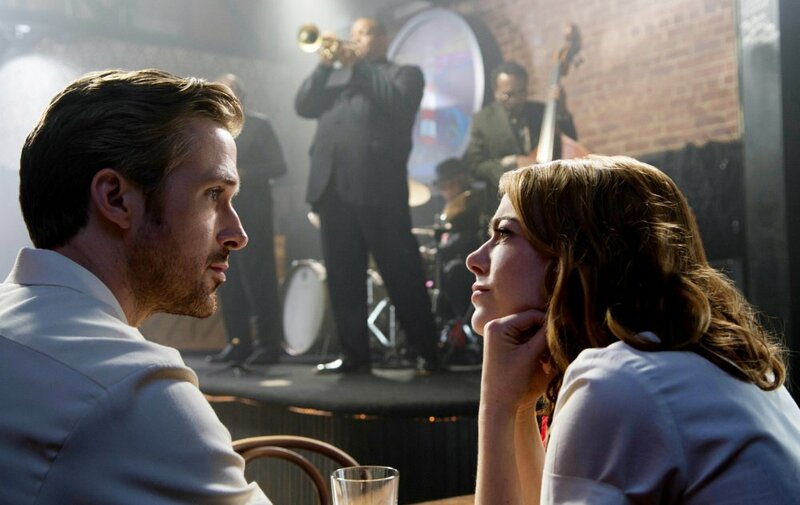 It is during this opening dance sequence that a chance encounter occurs between Sebastian (Ryan Gosling), a struggling musician, and Mia (Emma Stone), an aspiring actress. They are two dreamers in a city that couldn’t care less about them, and yet it inspires in them visions of love and enchantment, of star-bathed backgrounds and lushly coloured skies. Life circumstances ensure that they continuously cross paths—they meet again and again. First they dislike each other, then like each other, and finally they fall in love. All that jazz. The duo have a chemistry so pure that you know it is fate that brings them together, and not a team of screenwriters. Sebastian (Gosling) and Mia (Stone) are two happy-go-lucky dreamers in a world that forgot how to dream. What a strange concept it is to make an old-school musical in our day and age—but it works, both as an ode to dreams and to the power of cinema. Gosling and Stone are not professional dancers or singers, but the film doesn’t require them to be. The music by Justin Hurwitz—a key collaborator of Chazelle’s—is out of this world, written to emphasize tenderness and melancholy over vocal prowess. The film is made with such nostalgia, and Chazelle—known for the 2014 sensation Whiplash—has such love for the history of music and cinema, that you almost expect the characters to make a wrong turn and be transported a century back, like in Midnight in Paris (2011). The way La La Land confronts cinema’s dying past in a largely indifferent present recalls Sylvain Chomet’s animated L’illusioniste (2010)—although the latter mourned the retirement of magic, while Chazelle’s film all but screams that magic is still possible, even though it may not always offer a path to happiness. La La Land packs in all the pleasures of a musical, while offering a depth of emotion and a richness of form. It is a triumphant, generous masterpiece that feels bound for serious Oscar glory. You are right to be excited for it. Until the next time I see it, my heart will beat to the tune of Hurwitz’ songs.